A modernization of the DSLR is to remove the mirror and its components (optical viewfinder, phase detect autofocus system, etc.) and perform the functions those components provided using the imaging sensor and the color LCD (sometimes supplemented with an electronic viewfinder, or EVF). Removing the mirror box allows you to put the lens mount closer to the sensor (requires redesigning lenses, though), making for a smaller camera in depth. Quite a few other components that need critical alignment in manufacturing are also removed, making assembly quicker and less expensive. The down side is that using the image sensor to perform exposure and focus and using the color LCD or EVF to display what the camera is seeing consumes more power, produces more heat, and is (at least for the time being) lower in some aspects of performance, such as focus speed. 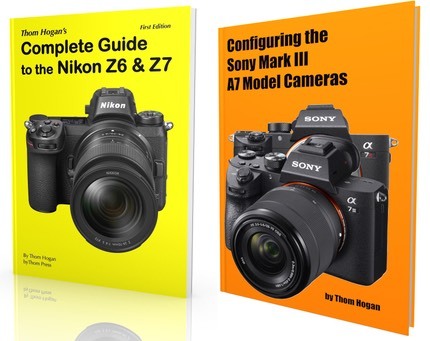 These trade offs make mirrorless cameras (also called Interchangeable Lens Cameras [ILC] or Interchangeable Lens Systems [ILS]) good at competing with entry-level DSLRs, but not as capable as high-end DSLRs.